A nationally-recognized expert in HIV describes the University of Hawaiʻi medical school’s plan to bring new HIV diagnoses to zero statewide as “bold” and “cutting-edge”. Dr. Douglas Nixon, of George Washington University, is Principal Investigator of the newly-funded, $28 million HIV Cure program grant “BELIEVE” (Bench to Bed Enhanced Lymphocyte Infusions to Engineer Viral Eradication) supported by the National Institutes of Health (NIH). He was in Hawaii to speak at the “World AIDS Day” conference sponsored by the UH Center for AIDS. 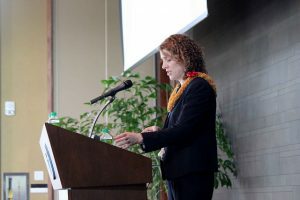 The conference followed the kickoff in 2015 of the Center’s “Hawaii 2 Zero“ initiative. 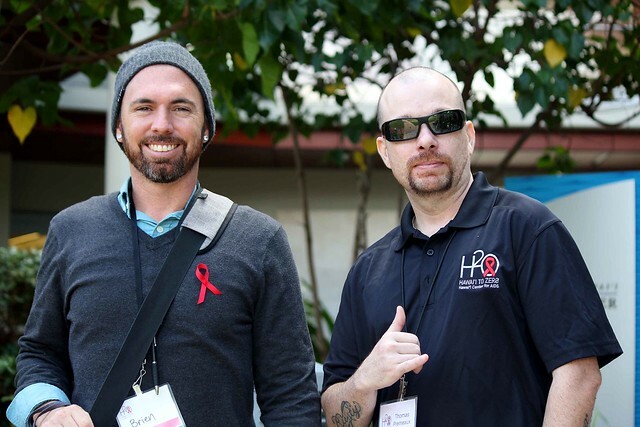 Nixon said the UH Center for AIDS World AIDS Day program, which featured updates from national and local HIV experts, showed that prevention is vital. Dr. Douglas Nixon heads a $28 M grant to help cure HIV infections. “Part of the whole cure program is to actually stop more people from getting infected in the first place and then we want to be able to improve antiretroviral therapies, we want to get more people onto therapy, we want to make sure it’s working, make sure they’re affordable,” Nixon explained. Dr. Julie Dombrowski heads efforts to help state departments of health collaborate in AIDS treatment and prevention. Seattle & King County HIV/STD Program and Co-Director of the UW Public Health Capacity Building Center. Dr. Dombrowski’s research focuses on the delivery of HIV and STD clinical services and population-based approaches to improving the HIV care continuum. She is the Medical Director of the Public Health – Seattle & King County STD Clinic and oversees the King County HIV Care and ART Promotion Program, a project to improve engagement in HIV care and antiretroviral use in King County. She conducts capacity-building assistance with health departments throughout the U.S. to improve HIV prevention and care activities. Dr. Dombrowski conducts capacity-building assistance with health departments throughout the U.S. to improve HIV prevention and care activities. Over the past five years, approximately 80-100 newly diagnosed cases of HIV have been reported annually in Hawaii. That’s a number the University of Hawaii Center for AIDS wants to see fall to zero. 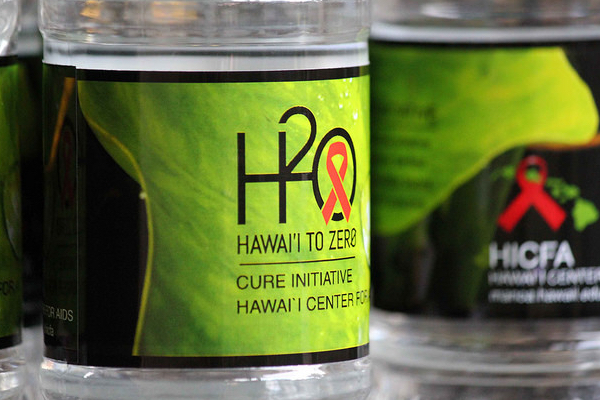 The center, part of the medical school, embraced that cause last year, launching the “Hawaiʻi to Zero” campaign. Led by Peter Whiticar and Tim McCormick of the Hawai’i State Department of Health Harm Reduction Services Branch, and Heather Lusk, Director of the CHOW (Community Health Outreach Work) to Prevent AIDS Project, Dr. Dombrowski and the University of Hawai’i researchers joined community stake holders from O’ahu and the neighbor islands in discussions on how best to lower these statistics. 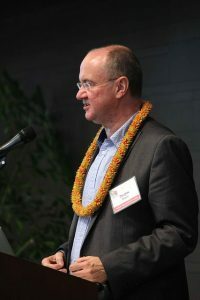 UH research that is planned to help with prevention include “treatment as prevention” efforts to step-up wrap-around services and assist re-linking to care for vulnerable HIV-infected patients was described by Dr. Jack Barile, Department of Psychology, UH Mānoa College of Social Sciences. Dr. Frank Wong, Department of Tropical Medicine, Medical Microbiology and Pharmacology, JABSOM), outlined efforts to maximize use of PrEP (Pre-exposure prophylaxis for HIV negative patients at risk for HIV). In the HIV cure arena, Dr. Douglas Nixon from George Washington University updated the community on new developments in HIV cure research. He is Principal Investigator of the newly funded, large HIV Cure program grant ‘BELIEVE’ (Bench to Bed Enhanced Lymphocyte Infusions to Engineer Viral Eradication) from the National Institute of Health (NIH). UH’s own researcher Dr. Lishomwa Ndhlovu (Department of Tropical Medicine, JABSOM) spoke about the University of Hawaii’s own efforts in HIV cure research made possible by a recently awarded NIH grant.